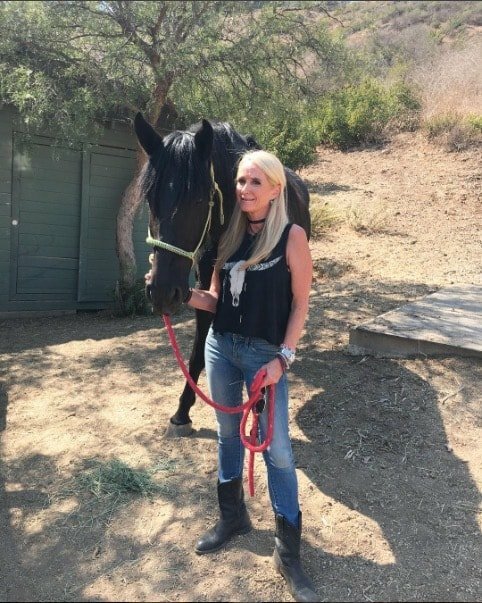 It has been a rough – and very public – battle for Kim Richards, but she’s found her way back home on horseback. While dislike Kim’s behavior on Real Housewives Of Beverly Hills – sober or not – I am beyond proud of her for committing to a healthy and alcohol-free life and using animal rescue in the process. Just as long as there’s no blue bunnies or Kingsleys which need rescuing, right? Raise your hand if you thought Kyle Richards’ game night would go well with Kim Richards and Lisa Rinna in attendance? Yeah, Lisa admits she didn’t, either – but was hopeful for a hot second there! 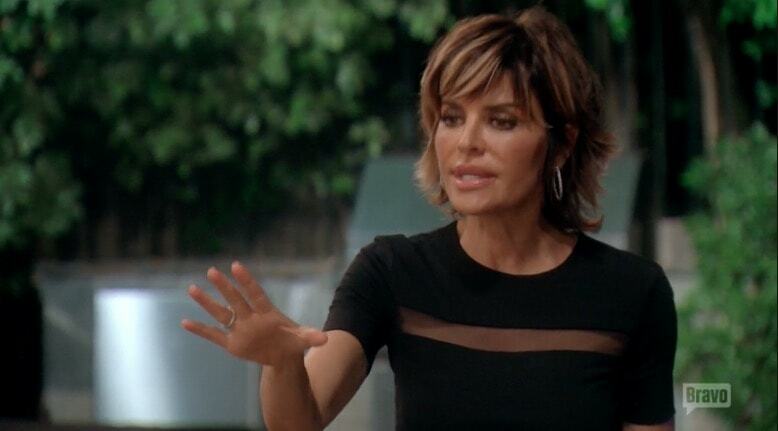 The Real Housewives Of Beverly Hills star blogs about her regrets, her ongoing beef with Kim, and her eternal hatred of all things game night! Lisa does appreciate new friend Eden Sassoon’s level headed intervention in the madness though, which was a breathed some much-needed calm into the petty drama. “Oh, Game Night, I can’t stand you! I think we all have some sort of PTSD from game nights in the past, and Erika [Girardi] nailed it when she referred to this upcoming Game Night as The Hunger Games,” jokes Lisa. Eden Sassoon may have been the only one who actually enjoyed The Real Housewives Of Beverly Hills dreaded game night! Though she did mildly insert herself into the drama between Lisa Rinna and Kim Richards, Eden says it was done out of empathy for both women, who she says need to actually listen to each other at some point. Wishful thinking? Kyle Richards Relationship With Kim Richards Is “Still Difficult”; Lisa Vanderpump Talks Being Filmed 24/7! Kim Richards is speaking to Kyle Richards again, but that doesn’t mean it’s smooth sailing. Kyle shares that their relationship will “never be easy.” Also not easy – being on film constantly! Lisa Vanderpump admits it’s a challenge to juggle it all, but she is well-aware she should get while the going is good! UPDATED: Report: Kim Richards Not Getting Paid For Real Housewives Of Beverly Hills Appearances! Reportedly Kim was not paid for the guest appearances she filmed for Real Housewives Of Beverly Hills this season! According to sources, the only way producers would allow Kim to return was if she agreed to get paid in Monopoly Money. “Kim wasn’t paid a dime to return to RHOBH,” claims an insider. Kim Richards Receives No Jail Time For Shoplifting From Target! Kim Richards’ year of living Lindsay Lohan continues as she manages to, yet again, avoid jail time! In August the former Real Housewives Of Beverly Hills star was arrested for shoplifting over $600 dollars worth of goods from Target. Kim pled no contest to one count of petty theft and was able to scrape by with a sentence of 36 months probation, 300 hours of community service, and is required to attend 52 AA meetings (at least one a week). Kim is also permanently banned returning from the scene of the crime.